Cambodian Ministry strives to reach Cambodians with the gospel of Jesus Christ and minister to them both socially and spiritually. Most Cambodians immigrating to the United States came from the working class—farmers, laborers, merchants, craftsmen, and small business owners. Some were soldiers from the last democratic government. The educated and the elite were nearly destroyed due to the persecution of the Communist Khmer Rouge during its reign of terror from 1975 to 1979. An estimated 2 million Cambodians died by starvation, torture, or execution during this time. Many escaped to refugee camps in Thailand where some accepted Jesus as their Lord God and Savior through world missionaries. Many of the generation that was born or raised in America are college-educated and hold positions of leadership and responsibility. 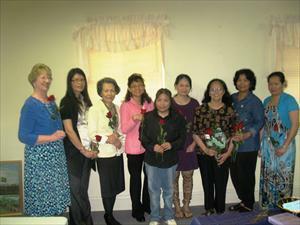 Since 1993, the church has intentionally sought to reach Cambodians in the Spartanburg area for Christ. 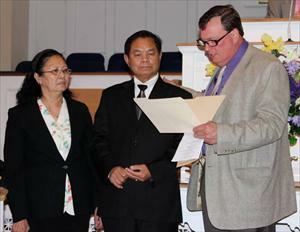 From December 2008 to October 2010, 77 Cambodians have been baptized. 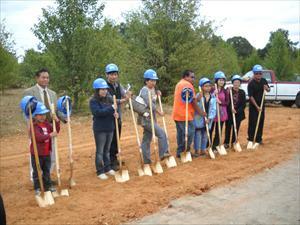 Cambodian Ministry assists the Cambodian people with social and economic needs. 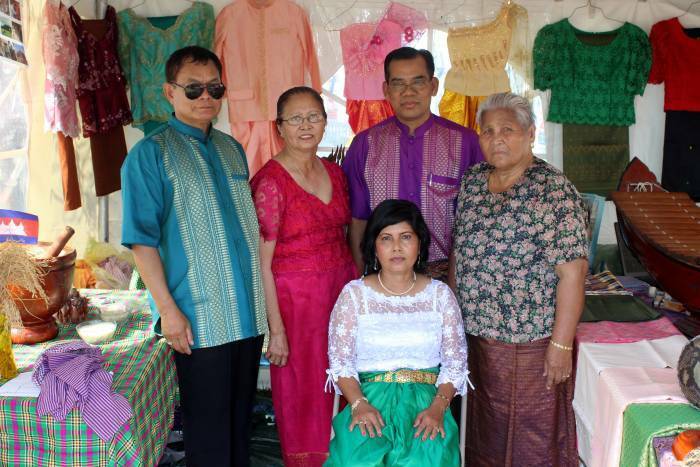 Many members of our Cambodian Ministry participated in an International Festival at Barnett Park in Spartanburg, SC. Press the following to watch their participation in an International Festival parade. Pray for Cambodian Ministry to reach out to Cambodian people in Spartanburg County. 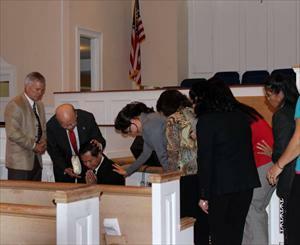 Praise the Lord for growth in attendance in both adults and children. Pray for the church at Pong Teuk. Funds are being raised to construct a building. Pray for Cambodian members as they demonstrate the love of Christ within the Cambodian community in Spartanburg County, reaching out with compassion to those faced with difficult circumstances. Praises/Bible Study/Worship on Sundays from 9:30 am - 11:30 am.